The use of invoices in business is as common as the act of buying milk or a cup of coffee from a grocery store or a cafe. 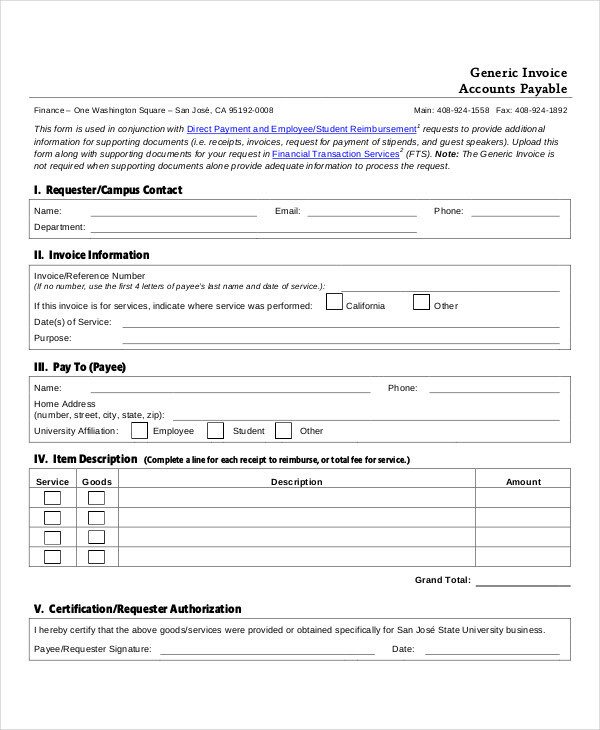 Each requires preparation of an official invoice to represent that particular sale. 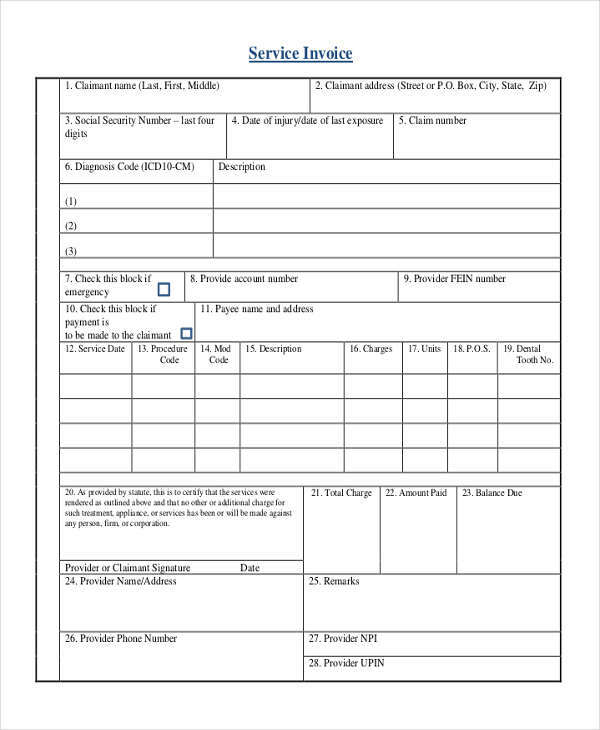 Establishments and organizations use invoices in each of their dealings and transactions not only as a mandate from the government but also as a personal means of keeping track or record. 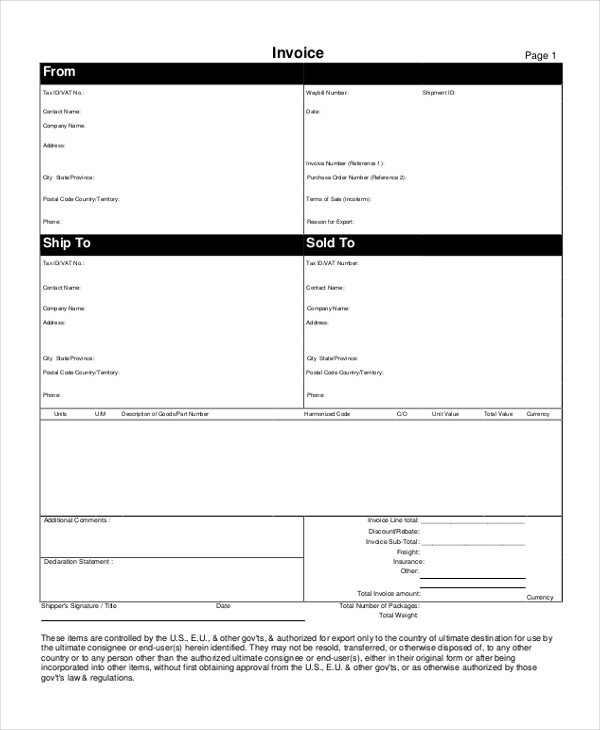 A blank invoice showing the contents of a commercial import invoice is shown below to give you an idea of what an actual and simple invoice may look like. 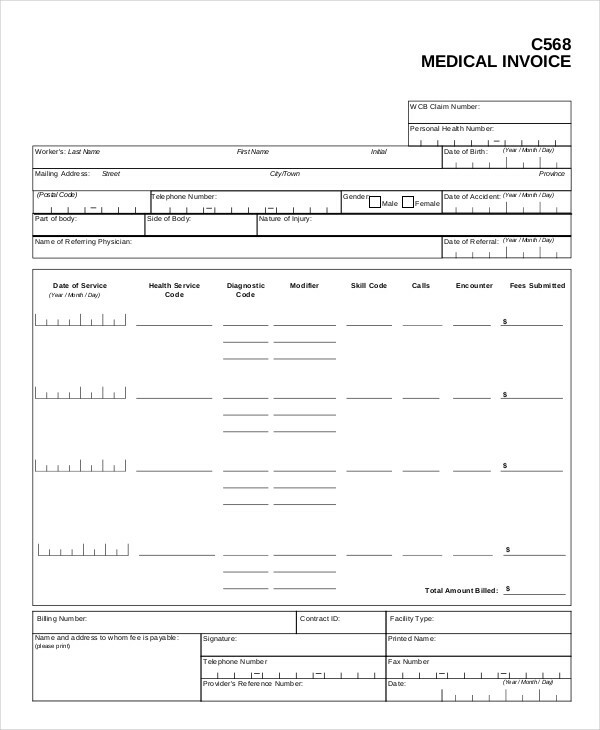 This is shown to assist you as reference of an invoice. 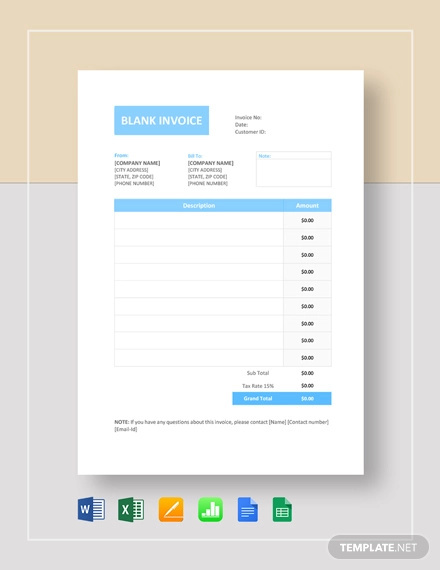 What Is a Blank Invoice? 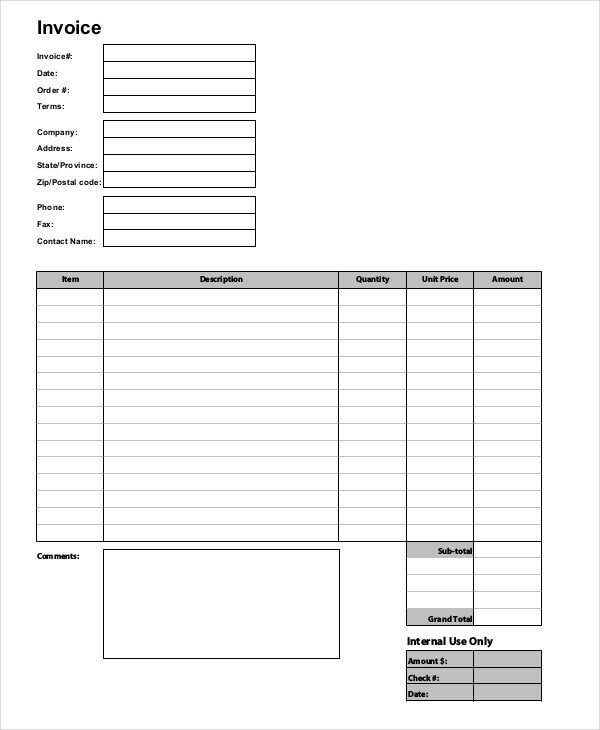 A blank invoice is a simple invoice form used for business as a general form of document seeking payment for a product or service from that company or business. It usually shows the details of the transaction which includes the items, quantity and the total for that transaction which may also include any and all applicable taxes as required by law. 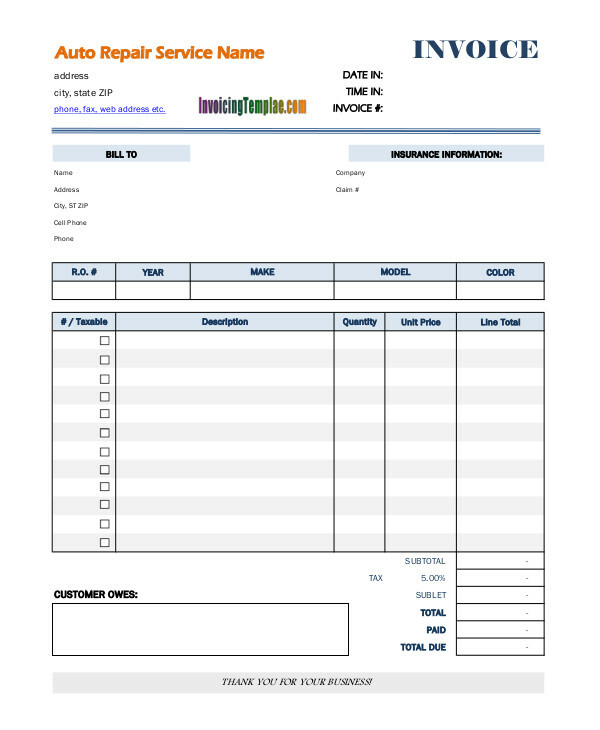 Professional and printable invoice examples are found throughout this page as reference and are available for download. Just click on the download link button for the sample of your choice. 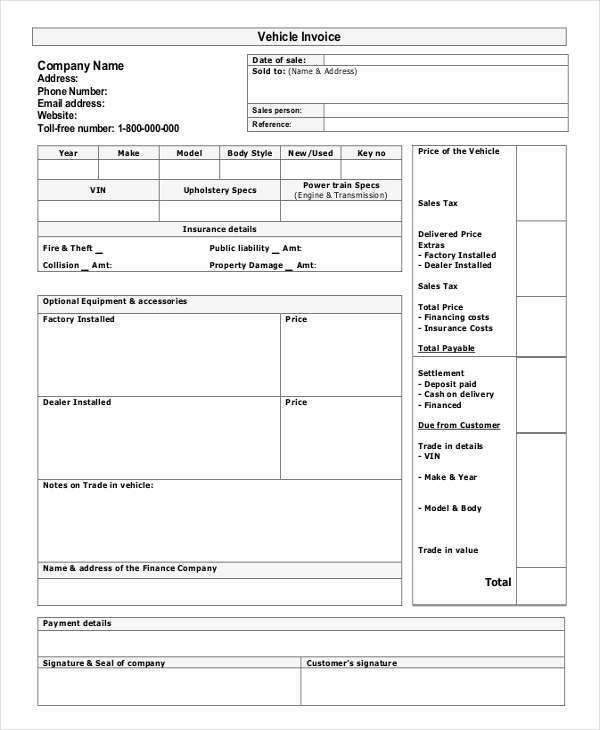 Basic invoice examples like that of a hotel invoice, are found in the page to assist you in your preparation of an invoice. 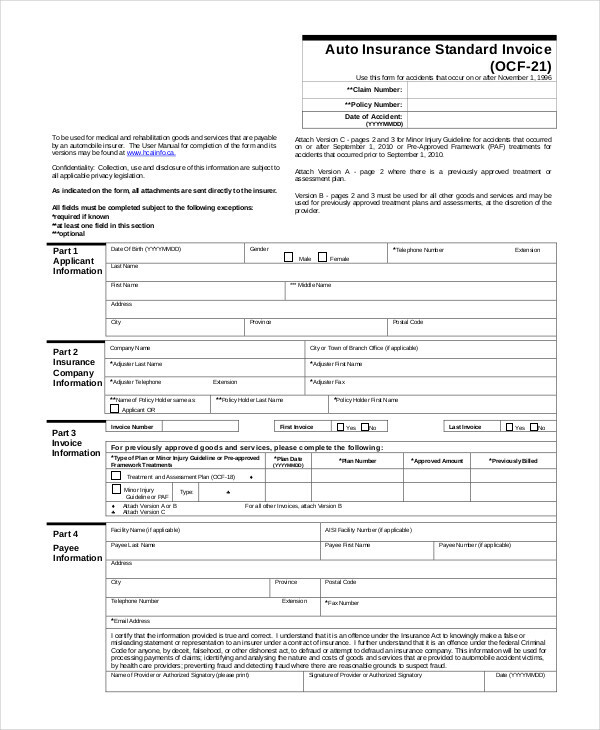 Tax Declarations – All applicable taxes are shown and added in compliance to any existing law or regulation. What Is the Difference Between a Bill and an Invoice? In the simplest of terms, a document can either be called a bill or invoice depending on the recipient of the document. A bill is something that you have to pay and an simple invoice is a document made by an individual asking payment. 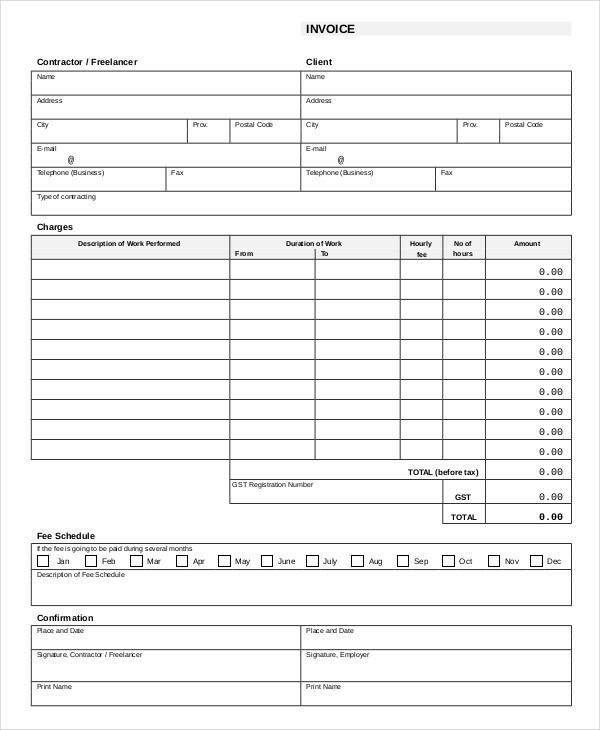 An invoice then can be considered as a bill but a bill for all its intents and purposes shares meaning closer to that of a tab or check in a restaurant. An invoice or a simple invoice contains way more information than a bill shows. It also shows the breakdown of items and description of those items. 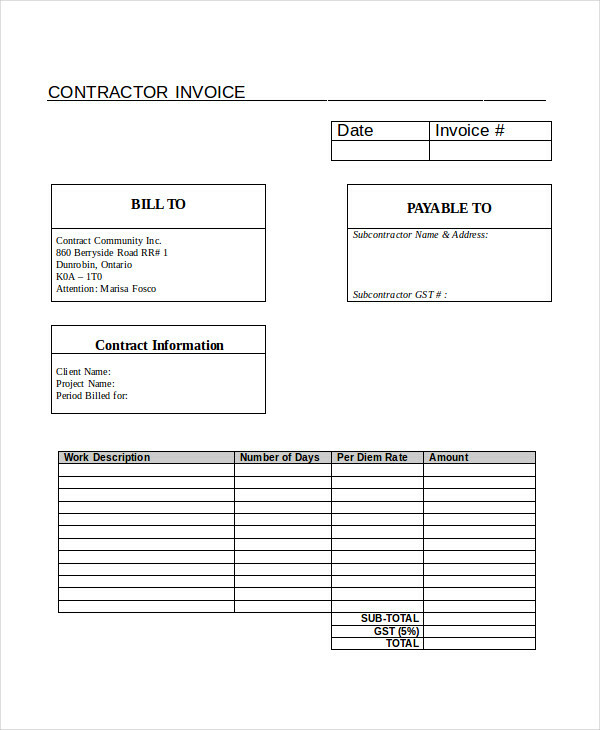 In the contractor invoice sample, it shows description of the service to be done, the hours allotted or made for that specific work, and the cost for each line item. Another thing that an invoice contains is the payment options. A bill usually just states what is owed. 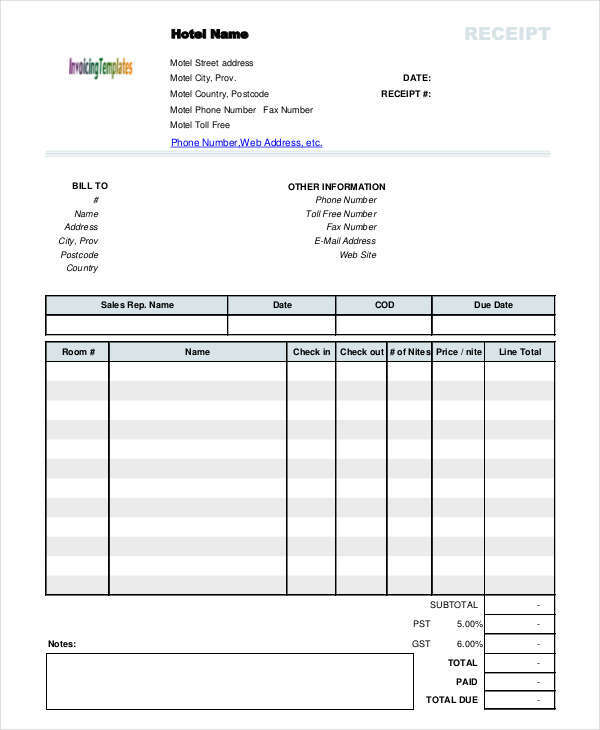 An invoice shows options for payment of what is owed. In the Construction Invoice example, the specific fee schedule is shown along with description of the fee schedule. 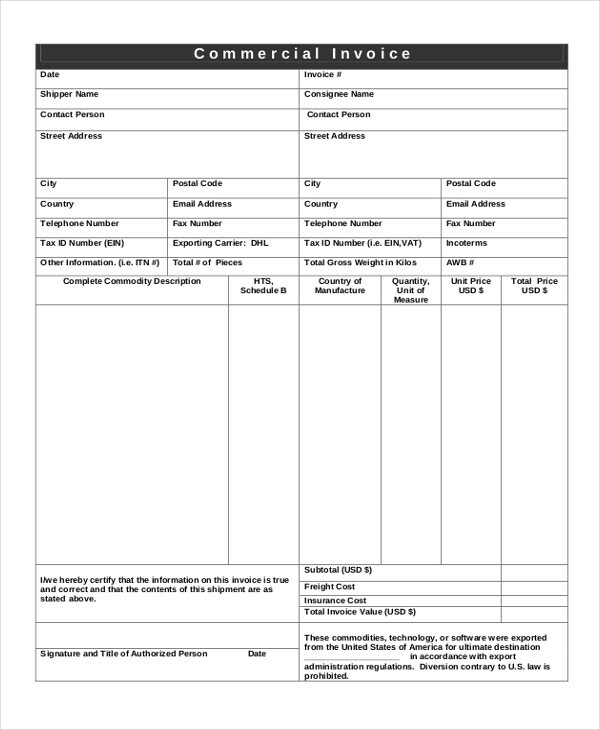 Also, an invoice shows the breakdown of applicable tax to certain products and as well as taxes for shipping and handling are shown. The example vat/tax invoice shows tax information with that of the seller and as well as the buyer of the product or service. Although businesses interchangeably use bill and invoice as well as accounting and finance, there are times when that commercial document is with certainty an invoice based on the above mentioned circumstances. 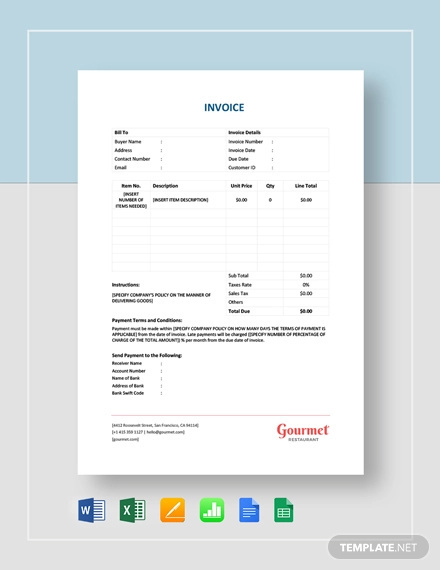 Printable invoice examples, hotel invoice examples, and free invoice examples are shown all over the page for better understanding of an invoice. All of them are available for download by clicking on the download link below the sample of your choice. The main purpose of a sales invoice is usually to represent or signify a sale of a product or service. This gives or provides a tangible form for the trade done in between two parties doing the transaction. It is not only in conformance to the law but also a simple way to track any transaction or activity. 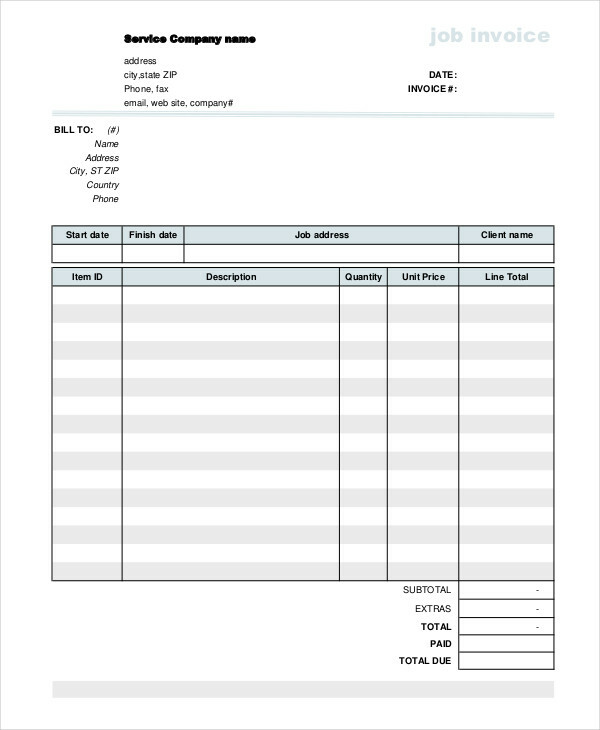 The blank invoice example of a sales invoice shows a document that also serves as a credit note requisition form for a company. 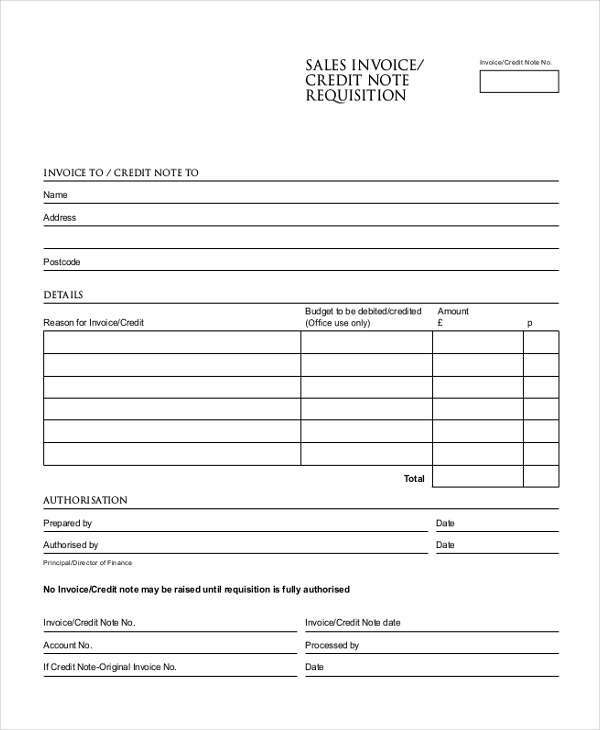 This document serves as proof of the company requesting credit through invoice and the limit to which any free invoice can be created for that company. How Do You Find Business Invoices? 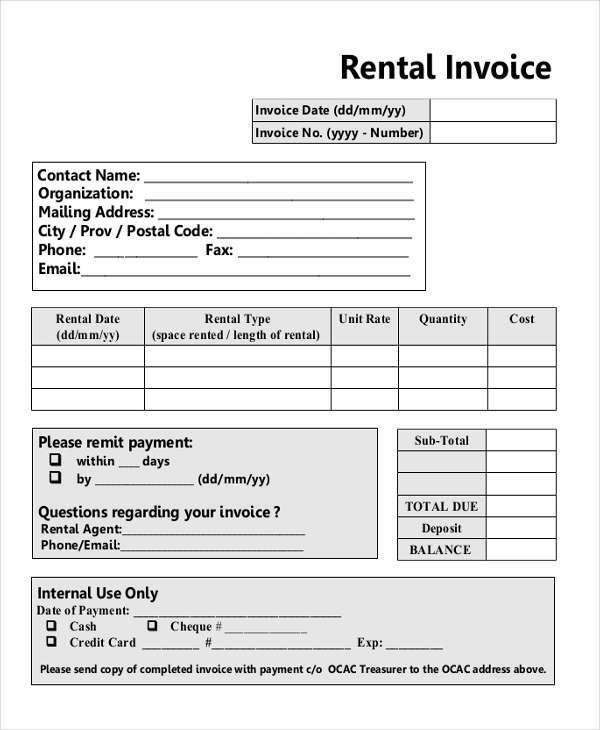 A business invoice is usually given by a company asking for payment for a product or service that was provided. Most business invoices are used in accounting and finance as it mainly involves start of the cash flow and financial statement. Invoices also form part of account receivables and are useful other sections of the business such as application to marketing plan and strategic plan. 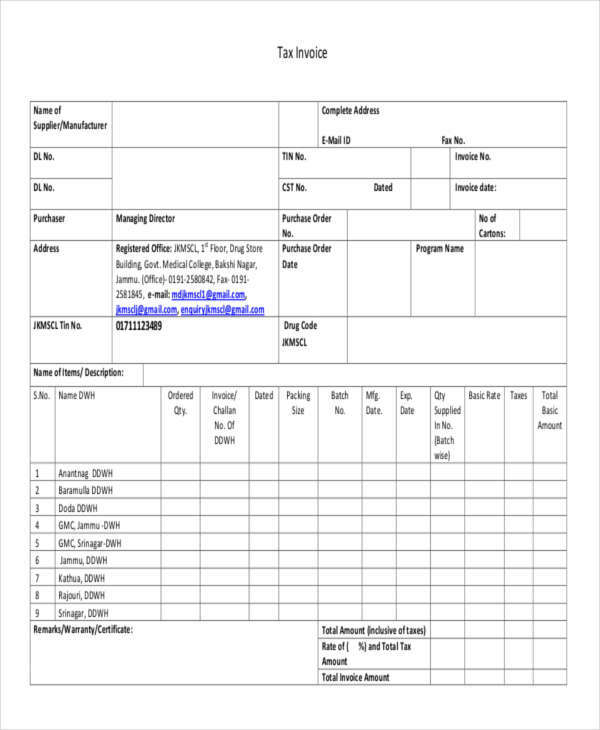 The sample generic invoice shows a form used for accounts payable and basis for projection of incoming sales. 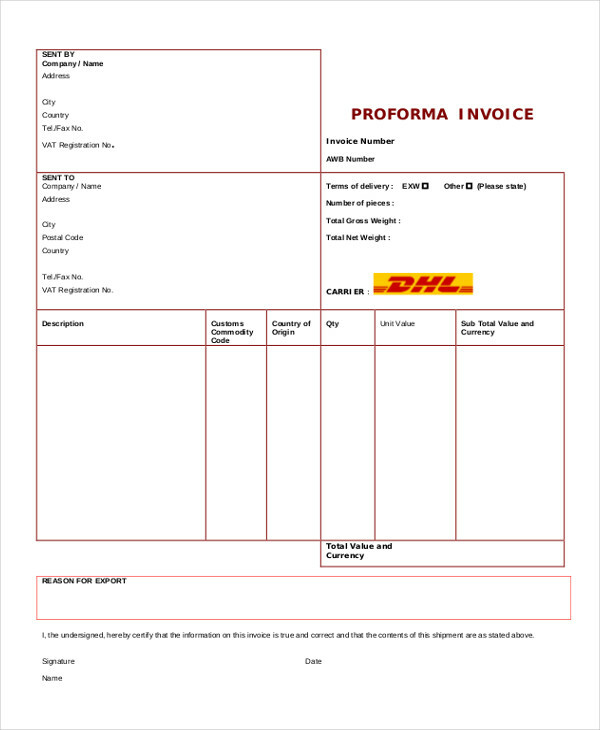 An invoice is generally used by a supplier of a product or service invoice to ask or demand for payment of such product or service. 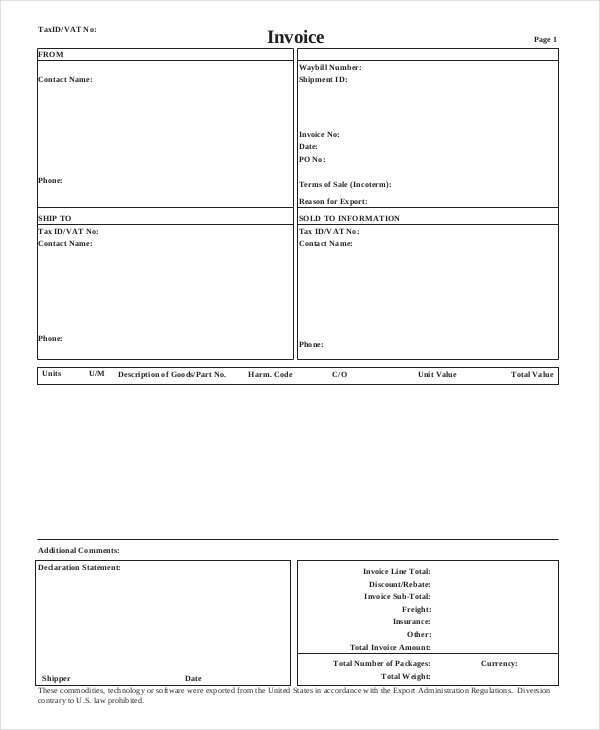 The invoice is also used by marketing departments of companies or organizations where the data or information gathered from them, usually the sales figures, are used to derive at certain strategies or marketing plans to be used in the next marketing campaign. Invoices are also used or rather information obtained from invoices are used by management or investors to determine the next steps of development for the business. Another department making use of the data from invoices is the accounting and finance department which handles all matters pertaining money and costs of a company. Cash flows into the company through sales invoice and other receivables. 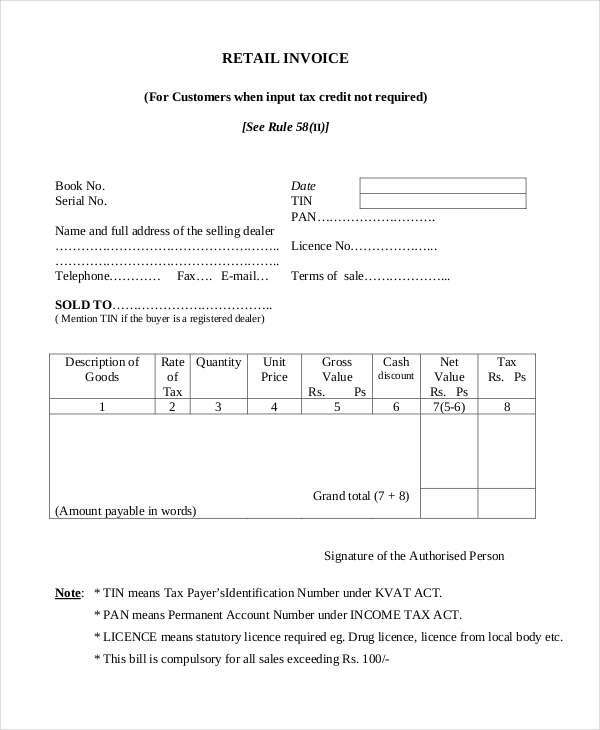 Tax computation is also covered by getting basis from sales invoices. 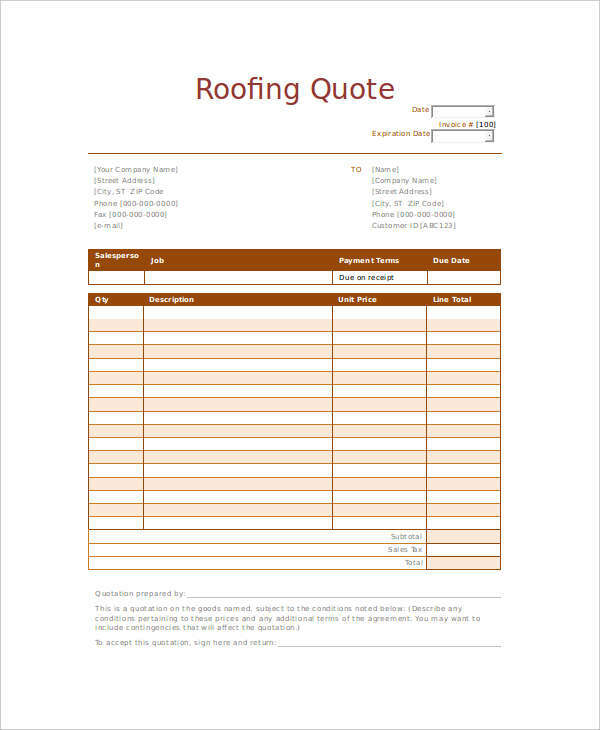 Examples in the page which include construction invoice, tax invoice, hotel invoice, pro forma invoice all demonstrate the usefulness of an invoice in business. 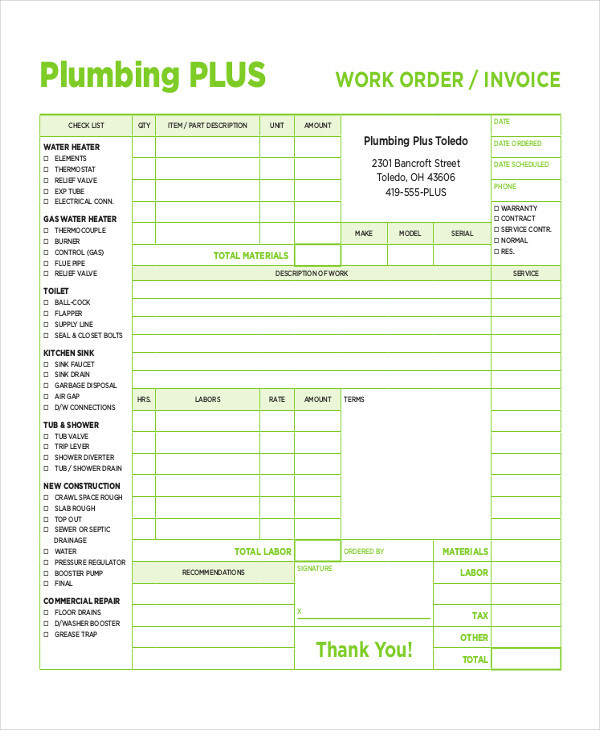 All of them show how an invoice is used in the daily operations of a company or business. To access the file of your choice, just click on the download link button below the sample.